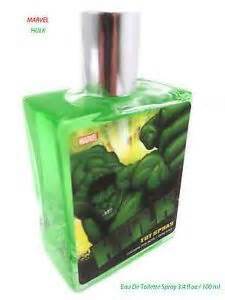 Many years ago long before the Avengers was a thing there was a Hulk Cologne. It smelled like battery acid. Nowadays they have reformulated it and it is not as dreadful. You can now even buy it in a Avengers sample pack. RAH. The reason I bring this up is because I was once Hulked. The American Sci-Fi Classics track holds a panel called 'Stump the Geeks' in which the panelists ask the audience questions and the like and if you mess up and get it wrong, then you get squirted with Hulk cologne. I kid you not, the stink can take several showers to be fully free of. My first year in this panel I intentionally missed a question to get the full experience. BAD DECISION!!!! Last year my question was really hard but I was victorious. The question I received was: Justify the existance of Jar Jar Binks. My argument was that since the comic relief usually provided by C3PO and R2D2 was missing they needed another element to keep stressful situations light. The second argument was that George Lucas wanted to sell toys and thought Jar Jar would sell millions. The arguments were good enough to not get Hulked and instead win a DVD box set of SeaQuest. YAY. It is a very funny game and to see people try to not get Hulked. It is a fun panel and if you get a chance to try it one year I totally recommend it. A ginormous thanks to Joe and Gary for putting this panel on. It is always so much fun.